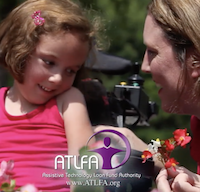 The Assistive Technology Loan Fund Authority (ATLFA) is a Commonwealth of Virginia State Authority created with public funds to help Virginians with disabilities obtain assistive technology. The ATLFA provides affordable financing alternatives (loans with below-market interest rates, no down payments, longer repayment terms, etc.) 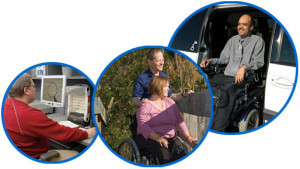 to help make adaptive equipment a possibility for individuals who might not otherwise be eligible for borrowing. Any type of equipment can be financed as long as it relates to an individual’s disability; examples include recreational equipment, vision aids, communication and hearing devices, and vehicles with modifications. Regardless of income, any Virginia resident with a disability, or a caregiver of a person of any age with a disability, can apply for a loan. Credit history, income and debt are considered in loan approval. Individuals with no credit history or poor credit are considered; special consideration given to disability and medically related credit issues. To apply, call 1-866-835-5976 or visit www.atlfa.org.